▷ Best Brunette Highlights 2019 ¡Photo ideas & step by step! For most people, brunette is just a common hair color that plenty of people have from birth and other just dye their hair that color. It can add such depth and vitality to your hair if you take the risk to dye it. There are also a lot of people that believe that brunette or brown hair is common and boring, but that could not be further from the truth! Brunette actually has such a wide arrange of tones and undertones that two girls with brunette hair could have two completely different looks and color hues. This can also happen when you are looking for brunette highlights, this especially happens with the highlights as hair dye will react differently with your hair than how it reacted with any other person’s hair. The best thing you can do when looking for highlights is to go to a hair stylist so you can have the best possible results. It does not have to be specifically for coloration, you can always set up just a consultation appointment so they can help you realize what is the best shade of brunette to work with your complexion. Brunette is such a rich color that it could easily match every skin tone and complexion if you are able to find the shade that would be perfect for you! Just make sure that you consult your hair stylist before doing any harsh decisions. There are so many ways and techniques to apply brunette highlights that you could be standing inside a room full of people with highlights and the possibility of the highlights techniques being repeated are so low that we could say none of you would have the same highlights! Some people decide that they want a big change in their looks and others decide that the do not really want a big or very noticeable difference, and for a soft change, we will give you the best techniques you can find for that subtle change you have been looking for. So, if you are looking for a soft change of look it depends really on if you have a lights or dark hair. If you have a light hair color –like blonde or light brown- then bronde (which is a mixture between blonde and brown) or ash brown is going to be a great idea to add to your hair. 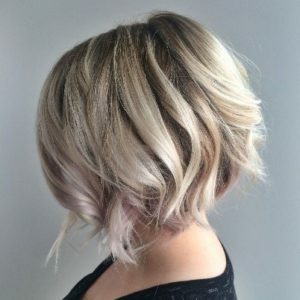 You can also try with baby lights, these is an amazing technique for when you want a subtle and natural change to your hair when applying highlights, it consists on adding highlights that are not completely the wanted color but they have just a hint of it, so the highlights will be there but no as notorious as some people may believe. 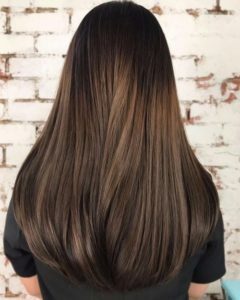 Soft brunette highlights are a difficult technique, they have to be applied with such a delicacy and dedication that is it completely pertinent for you to go to a salon or to your trust hair stylist to apply them onto your hair so you can have the best possible results on your hair. 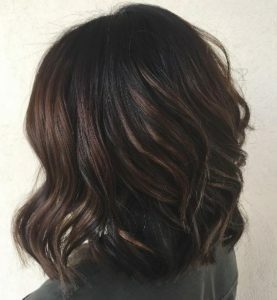 This brunette colored highlights can be mixed with any type of highlighting technique you can think about or ones that you have seen on the internet! Make sure to show your colorist a photo so there is no a communication problem or a misunderstanding. Thin brunette highlights can be very subtle as the hair strands that are being dyed are so thin they will be barely noticeable, especially if applied to people with a hair color closer to brunette color like dirty blonde of chocolate shades. 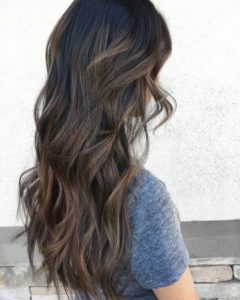 This fine brunette highlights are great for people with fine and straight hair as they will add texture and volume to your hair, although if you have frizzy hair it is no such a good idea to add them to your hair as the will enhance the frizzy look instead of hiding it. Keep in mind to always go and look out for a professional to apply the highlights onto your hair, they are the ones that know the best how to apply them and help guide you through the whole process of what would look better on you. 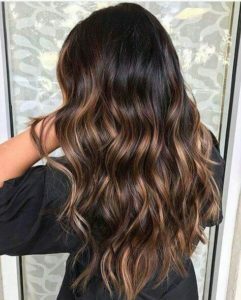 The majority of people that think about highlights thinks that they always have to be lighter than your hairs base color, and they are actually correct, but with a technique called lowlights, which is technically highlights but with darker shades of your natural hair, adding dimension and movement to the hair. 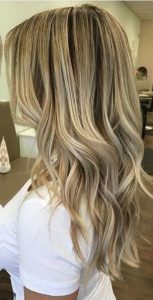 And the truth is that brunette highlights are not off limits for blondes, quite contrary if applied the right way brunette highlights can look amazing on this light shade of hair. It will conflict with most people’s believes, brunette is not just one shade, it actually has such a wide variety of tones that they can fit a bunch of hair colors. Adding these brunette highlights to your blonde hair will add a contrast and depth that no other color will give you. 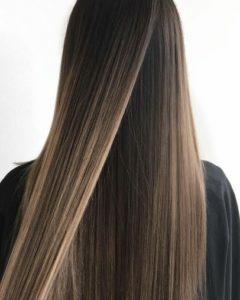 A way to add this lowlights is to apply them with the traditional foil technique or even with a reverse balayage technique, meaning that the brunette shade will be stronger at the roots of your hair and then become lighter the further away it goes from them. 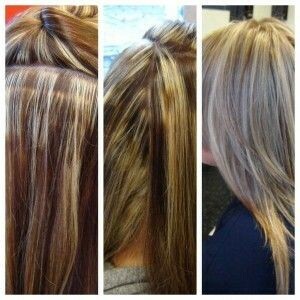 Take into consideration that this technique takes even more upkeep than other types of highlights. Adding brunette highlights to blonde hair can be a task as you will not have to go through the process of discoloration. The brunette shade is darker than your natural color so you are going to be able to simply add the brunette hair dye. A hair color that will receive high benefits from brunette highlights is black. Such a dark and deep color will receive such a boost from this highlights that it could completely change your appearance by only adding a few lights. Not only light will be added to your hair but movement as well, and the way to reach that is with brunette highlights. Brunette highlights will give you a beautiful sun kissed look that will make you look as if you had spent all summer at the beach, as well as lightening your face and hair without any trouble. Adding brunette highlights with a balayage technique they will be subtle and discreet style, making you have a change of look without too much risk or anything. 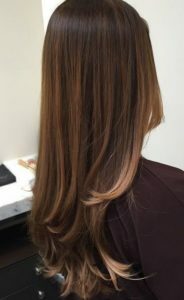 An advantage of balayage technique is that it is very easy to maintain in comparison to the upkeep of other techniques of hair highlighting. Going heavy handed: The most common mistake when attempting to apply highlights is applying way too much product near the roots, instead, you should try building up the products, applying it in the middle of the hair strand and the working it upwards towards the roots. Coloring before cutting: This one mostly talks by itself, you can apply the perfect highlights to the hair, and then by cutting the hair you are running the risk of damaging the highlights you had already applied. It is better is you cut the hair first and then apply the brunette highlights. Un-even saturation: Just like a painter you need to be extremely careful at the moment of applying your brunette highlights, once you think you are almost done take a step back and evaluate your work. Is it even? Are there any hard lines? Is it like you thought it would be? If the answers to all these questions are positive for you then you are ready to rock those highlights, but if they are negative then get to work in what you saw was wrong and ask yourself those questions once again when you are done. Although nowadays, the hair dyes we use to dye our hair are better and less damaging than what they were a few decades ago, it does not exactly mean they are known for being good for your hair, actually, they can actually have harmful side effects that you probably did not know about. Most of these hair dyes have hydrogen peroxide, that breaks through your hair and rips off your natural pigment, stripping away its color so you can on add the color on top, the process essentially damages your hair, literally breaking its structure to eliminate the color. 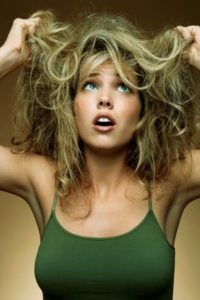 If you exaggerate the use of these processes on your hair you will be only adding up and end up with a hair that is very easy to break, so the best thing for you to do is to not rush the process is you are going to get your hair a shade that is way lighter than your natural hair color. 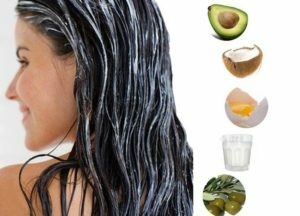 Now is the perfect time for you to start taking a deeper care of your hair so it does not get numb and frizzy thanks to the chemicals used during the dyeing of the hair. You have plenty of options for products that you can use to take care of your died hair and allow it to have more vitality and shine. Lowering the amount of times a week you wash your hair is an important step to take a good care of your hair, this will not only avoid your hair from getting too dry but it will as well avoid for the dye to lift from the hair.